I’m convinced that no genuine success occurs except as a natural expression of the human heart’s search for meaning. Yes, there are plenty of “successful” people who make a lot of money or have achieved high corporate positions, who run organizations or have won elective office, who are clueless when it comes to understanding what life is all about. The fact is, that kind of success is only half of the equation. Our drive for titles and money is too often based on a desperate need to prove ourselves to others, rather than the passion to live a life in a way that draws on our true values and talents, enlarges our spirits, and allows us to be who we need to be to live rich, satisfying lives. For me, jazz is one of the most powerful metaphors I’ve ever found for living an extraordinary life, but that won’t mean much to you unless you understand very clearly how I define the term. Jazz isn’t just the music, it’s the feeling the music gives you. That feeling is the result of an ability to recognize potential in simple things and ordinary situations, and then, through improvisation, conviction and skill, turn that potential into something remarkable. (A gifted jazz musician, for example, can make a complex masterpiece out of a tune as simple as “Mary Had a Little Lamb.”) Jazz is a state of mind in which possibilities for innovation and discovery are revealed to you, and you are able to tap into deep reserves of commitment and passion. 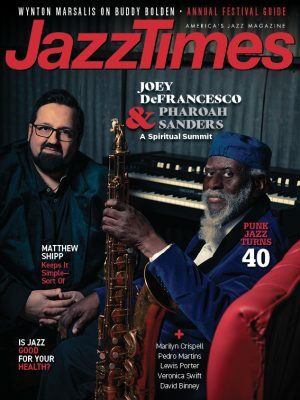 Even though I’ve never played a note of music in my life, I think I know what jazz performers feel: They don’t play from a formula or from any conventional wisdom; they take risks, they stretch, they explore, always looking for new opportunities, and always trusting their talents and their instincts to bring them home. I believe that life demands the same ability to trust and improvise. When a jazz artist launches on a solo, he takes a frightening leap of faith. Every note, every phrase, every bit of color and texture he or she brings to the music is a risk that could backfire and make the player look like a fool. He could play himself into a corner. Worse, he could play himself out and find he had nothing to say. It’s a terrifying kind of free fall, but it’s the only reason any real musician plays jazz-to find something new in the music, to find something new in himself. And that is true in every one of our lives. Artists and audiences alike, all of us have moments like this, moments of revelation and insight, epiphanies that seem to stop time, when we remember who we are and what we want our lives to be. In my experience, these moments tend to be brief and elusive. The pressures and distractions of our everyday concerns quickly overtake them. “Practical” considerations call our attention to other things; we lose touch with these moments and spend our days sleepwalking, thinking about the tasks and to-do lists of our lives, mistakenly assuming they are the same thing as life itself. We need to look in the mirror once in a while and remind ourselves of the truth: that we really are alive, man! Our life is happening now! It’s like we’re dreaming and we have all the time in the world. I am convinced that you cannot hope to live a great life, a life that achieves your fullest potential, until you wake up to he fact that life is tangible, immediate and precious. If we don’t embrace the reality that our life is what is taking place in this moment, our life will never be entirely our own. Jazz, my kind of jazz, won’t let you forget that; it won’t let you settle for a life built on conventional standards of achievement or someone else’s definition of success. Jazz for me is a state of mind in which I’m reconnected, with conviction and clarity, to the things that matter most to me. It is a bottomless source of energy and inspiration, that reminds me, in simple human terms, why I need to do what I do, and gives me the will and the stamina to keep doing it, despite setbacks and obstacles. It shows you how to develop the strengths, values, vision and commitment you need to make your most personal dreams come true. It teaches you how to sing the song of your life, and to build a life that is genuinely and successfully your own. At the Manchester Craftsmen’s Guild, we don’t teach students to become artists; we give them experiences that open their minds to the possibility of a fuller, richer life. At the Bidwell Training Center, we don’t put folks on the road to success; we teach them the skills and values that a successful life is made of. The sense of accomplishment and empowerment, those kinds of learning experiences offer our students the first glimpse of what a good life might feel like. That’s the clarity we’re after, that’s the root of making the impossible possible. It’s also the root of greatness. Real success, genuine success, can’t be chosen and chased down. You assemble it, moment by moment, out of the dreams you choose to follow and the values and passions you share.